It almost seemed destiny that Zingerman's -- that purveyor of fine foodstuffs, that stacker of thick sandwiches, that favorite of Go Blue! 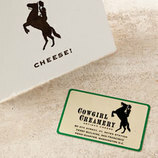 college kids and visiting parents -- should turn their highly-flavored fingers to making cheese. 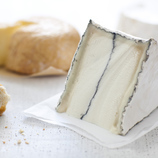 Using fresh organic milk from Southeastern Michigan, Zingerman's award-winning cheesemakers carefully craft a variety of both cow and goat milk cheeses. Zingerman's version of this traditional southern cheese spread features aged raw milk cheddar ground coarsely with slow roasted red peppers, Tellicherry black pepper, mayonnaise and just enough cayenne to make it dangerous. 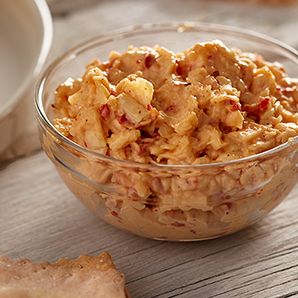 A fan favorite in its native Ann Arbor, Michigan, this Pimento cheese is great on a bagel, cracker or bread, and it also makes amazing macaroni and cheese.